2. Ordering your wedding dress too late. If your heart is set on a couture wedding dress, be sure to order by the six-month mark since your dress will be custom-made and, many times, made overseas. In addition, most off-the-rack wedding dresses will require alterations, so make certain that you have enough time to get the gown fitted properly. You’ll want to leave plenty of time for shipping and for your fittings. The same goes for the bridesmaid dresses. 3. Booking hotel rooms too late. Brides often leave blocking out hotel rooms for out-of-town wedding guests until the last minute. If you’re marrying during a busy time and you don’t investigate hotel availability in advance, you can end up with literally not a single room for your guests to stay. Your wedding will go on — but no one will be able to attend. Reserve rooms as early as possible. Begin your research up to a year in advance, and make sure your block is booked at the eight-month mark. Be sure to include hotel information in your save-the-date cards or invitations. This doesn’t mean you will have to pay for the rooms, you are just setting them aside — your guests can put down their credit cards when they call to book their rooms. 4. Inviting too many wedding guests. Make sure your guest list and your reception site capacity match up numbers-wise. You can’t invite 400 people assuming only 250 will accept, because if you end up with 300 acceptances, you may have to turn 50 guests away at the door. Most wedding venues can’t just add 10 more tables — fire laws limit the maximum number of people allowed in any room at one time. Analyze your guest list from the get-go, assume 80% will respond yes, and limit your guest list accordingly. 5. Partaking in last-minute beauty treatments and crash diets. Many brides think that scheduling a facial the day before the wedding will leave their skin looking angelic on their big days. Thinking of tanning the day before your wedding? Think again: you may end up with blisters instead of sun-kissed skin. Last-minute beauty treatments can lead to breakouts, mistakes or, even worse, serious infections. Same goes for crash dieting in the weeks leading up to the wedding — after all those gown fittings, your dress may not fit! Stick to a long-term beauty regimen with lots of rest, a good diet, and safe over-the-counter beauty products like sunless tanners. Save the heavy-duty beauty treatments for at least two weeks before the big day or you could risk ruining all the hard work you’ve done to make your wedding — and your photos — perfect (never mind putting your health and happiness at risk for the most important day of your life)! 6. Trying to go it alone. If you are a bride lucky enough to have been offered help by friends or family members, by all means take it! 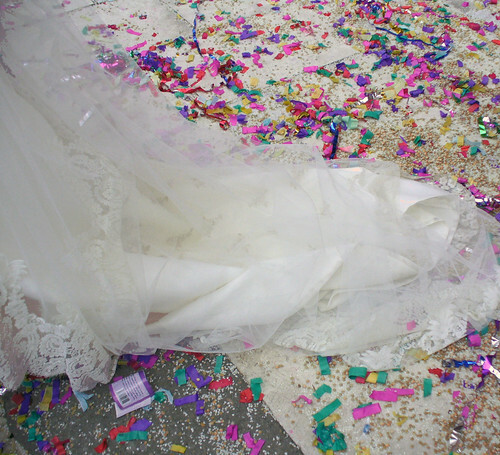 Too many brides try to do it all — and this isn’t a good idea. Delegate and use all the resources that are available to you. When people offer to assist — like your mom, your future mother-in-law, or your best friend — find something for them to do, like researching a vendor or addressing invitations. On that note, it’s important to keep in mind that these volunteers are not hired help — be sure that you accept their contributions graciously.